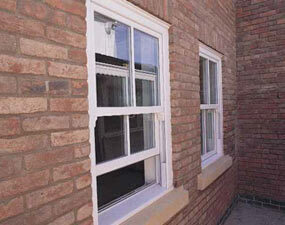 If you are considering Replacement PVC Windows, contact us today for the most competitive prices in town. Throughout our website we've tried to provide you with the essential information that you need to know, to help you make an informed choice. We will provide you with the best advice based on more than 25 years of expertise and will provide absolute value for money. In this modern day, we are fortunate that uPVC windows no longer need to be white. We stock a wide variety of textured finishes and colours to suit any home. Our range includes the popular Tilt/Turn windows or reversible options which provide increased ventilation and are easy to clean from the inside. 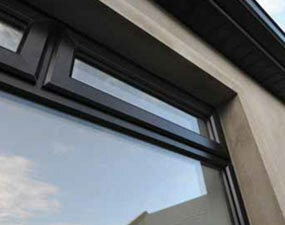 We have mastered the creation and manufacture of angled window frames to perfectly match your homes design. ...everything was handled very professionally. 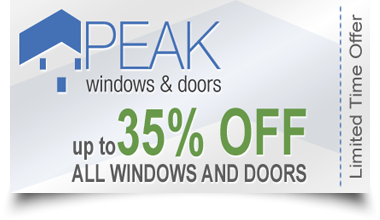 I will of course be recommending Peak Windows & Doors to my family & friends who are looking for replacement windows or doors. 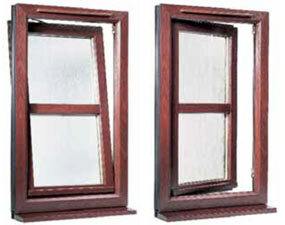 Casement windows are one of the most popular side hung or 'push-out' top style. 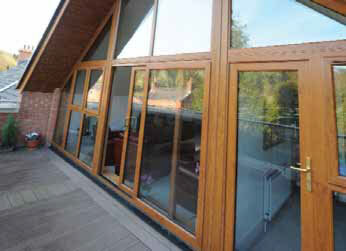 Tilt & Turn 'Open-in' style can operate as tilting inwards or fully opening into the room. Combining modern functionality requirements and materials with character and design. To celebrate the launch of our new showroom in Swords, Co.Dublin and 25 years of experience in the Windows & Doors industry, for a limited time, we are offering up to 35% Off our entire range of PVC Windows and PVC Doors. Talk to us about our Conservatories and Orangeries - and we'll look after you there too! 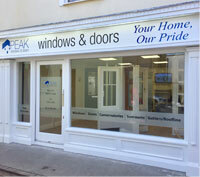 In an effort to continually offer great results in window and door installation, Peak Windows & Doors has formed a partnership with Manor Interiors, a market leader in window fashion. Supplying and expertly fitting custom made - Roller, Day and Night, Venetian, Vertical, Pleated, Roman and Roof Window Blinds. Manor Interiors have recently introduced Plantation Shutters, Curtains and Motorised Blinds to their growing range. Manor Interiors provide beautiful custom made window blinds, curtains and plantation shutters using top quality materials at the most competitive prices. Our product range focuses on aesthetics, functionality, design and durability. Manor Interiors invite you to explore their Dublin showroom at Unit 118, Baldoyle Industrial Estate, Dublin 13, where you will find a large selection with the latest styles available. We don't know how long we can keep our special offer running. Don't miss out.